Critical Link cultivates partnerships vertically, both up and down the supply chain. We believe this strengthens the value our customers look to us to deliver, increasing our product knowledge, accelerating our development pipeline, and ultimately improving performance for our customers. Through these partnerships, we are better positioned to help you overcome some of the challenges involved in designing and producing today’s complex electronic products, including advanced technology integration, component obsolescence management, cost controls, and product lead time and availability. Like anything, our partnerships are what we make of them, and we work hard to make them mutually beneficial to us, our partners and our customers. Aside from our Technology Partners, Distribution Partners, and Manufacturers Representatives, Critical Link’s full lifecycle service offering has also earned us membership in a number of exclusive design networks. 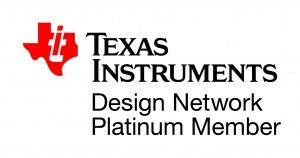 We are a proud member of the Intel (Altera) FPGA Design Services Network, the Intel IoT Solutions Alliance, a Platinum Partner of the TI Design Network, a certified member of the Arrow Consulting Engineering Services (ACES) network, and a premier Partner in the Basler ImagingHub.